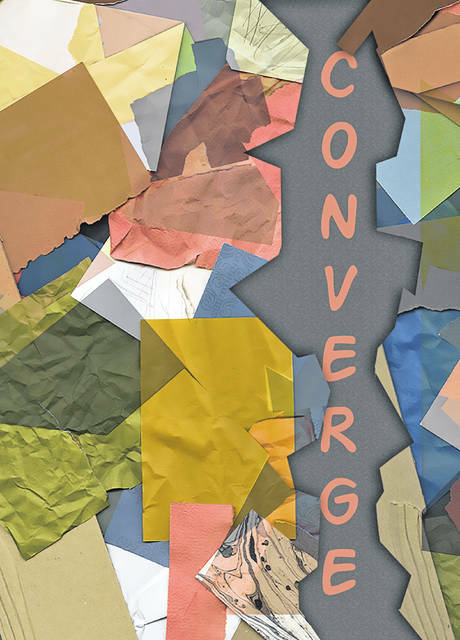 The Ohio Wesleyan graduating senior art show, ‘Converge,’ opens with a free community reception April 13 and runs through May 11. DELAWARE, Ohio – Each has drawn, painted, sculpted, photographed, forged, and designed a unique path at Ohio Wesleyan University, and the 2019 fine arts graduates will join together April 13 through May 11 for “Converge” – a free exhibit of juried works at OWU’s Richard M. Ross Art Museum. The annual senior show will open with an artist reception from 5 p.m. to 7 p.m. April 13 at the museum, 60 S. Sandusky St., Delaware. It will showcase the works of 10 graduating seniors selected for the retrospective by their Ohio Wesleyan fine arts professors. During the academic year, the Ross Art Museum is open Tuesday, Wednesday, and Friday from 10 a.m. to 5 p.m.; Thursday from 10 a.m. to 9 p.m.; and Sunday from 1 p.m. to 5 p.m. It is closed Monday and Saturday, with the exception of the upcoming April 13 “Converge” artist reception. The facility is handicap-accessible and admission is always free. Call 740-368-3606 or visit www.owu.edu/ross for more information. https://www.delgazette.com/wp-content/uploads/sites/40/2019/03/web1_Converge_portrait.jpgThe Ohio Wesleyan graduating senior art show, ‘Converge,’ opens with a free community reception April 13 and runs through May 11. Created in 1864, Ohio Wesleyan’s Department of Fine Arts was one of America’s first college art departments. Today, it offers both Bachelor of Arts (B.A.) and Bachelor of Fine Arts (B.F.A.) degrees. Learn more about the department, its majors and minors, and its faculty at www.owu.edu/finearts.